I have to admit that the pale ale is not currently my favorite style of beer. Extreme beer has me roped in, but I also like other, more diverse styles of beer. The pale ale is just so plain, so run of the mill these days. Everyone brews a pale. It hasn’t always been that way. I used to exclusively order pale ales, particularly Columbus Pale Ale back in the day. It was so bitter and fulfilling compared to the macro lagers of my youth that I couldn’t imagine anything more flavorful. When I was lucky enough to try a flight at a brewery, the pale ale was what I used to judge a brewery’s quality. The pale was king until it’s Indian cousin (and his imperialist friend) came along and changed my life forever. Still, I wanted to participate in this month’s session. With a summer holiday arriving just before, I figured that I had ample opportunity to try some pale ales and put together a post. The two pales I landed on were Deschutes Red Chair NWPA and Tallgrass 8-Bit Pale Ale. Now, before some beer purists get their boxers in a bunch, I recognize that these beers are technically considered American pale ales (APA). This was purposeful. I prefer the sharp bite of hops over biscuit-y sweetness more prevalent in the British version. So, most pale ales don’t typically do it for me. Now, I don’t need to be knocked upside the head at all times by hop bombs, but some fruity, piney aromas and bitterness provided by American hops is one of the things that dragged me into the craft beer world. So, this is as close as I’ll get to trying two pale ales so closely together*. The first of the two APA’s I tried was the Deschutes Red Chair NWPA. It was a nice evening at the community garden. Most of the kids in the ‘hood had just finished their last day of school and so we threw a little barbecue. 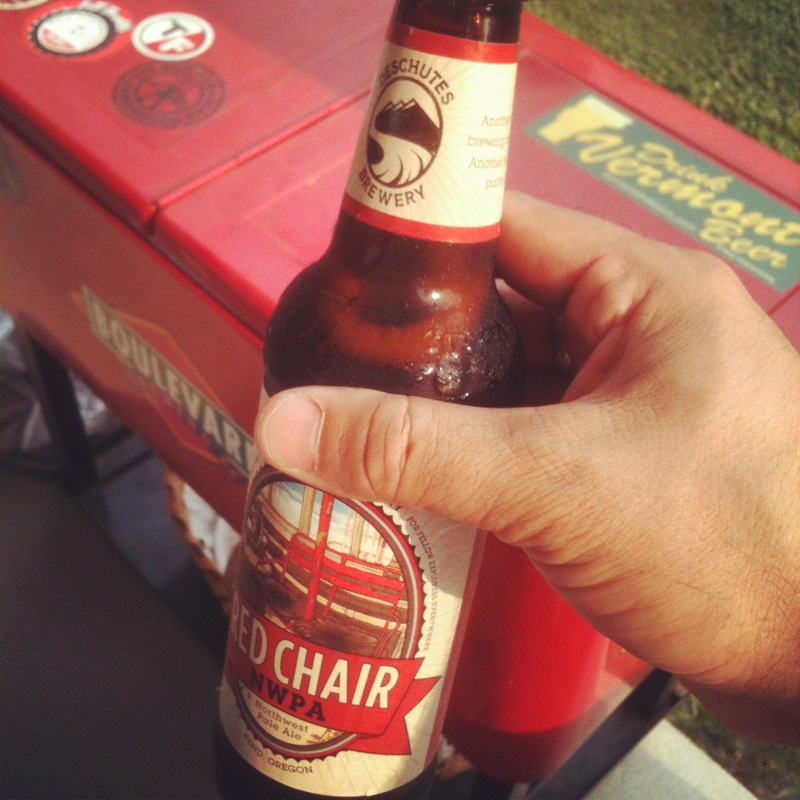 I grabbed a sixer of Red Chair and even “slummed it” by drinking from the bottle. At 6.4% ABV and 60 IBU, this beer teeters on the edge of being another great northwestern IPA. However, it goes down much smoother, almost too smooth as I had three before having to drag my kid (and myself) home for her bath. This beer is a gentler, kinder IPA, something I always hope for in a pale ale, even if it makes the purists cringe. Even from the bottle, I could enjoy this beer’s pine forest aroma. 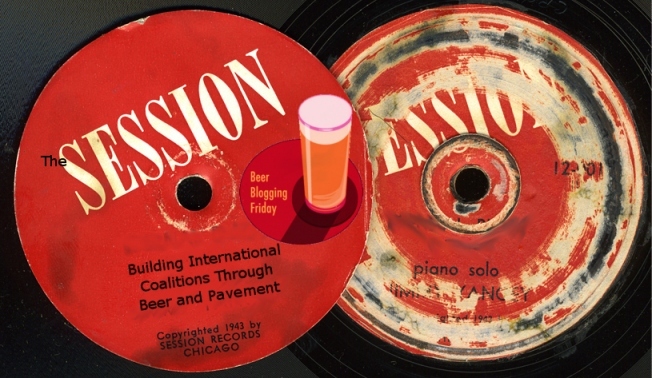 It’s just a great and easy drinking beer for a beer geek with some extreme beer fatigue. Mind you, that’s not extreme beerfatigue. I’m talking about extremebeer fatigue. Those are two very different things. Later in the weekend, my daughter and I embarked on a 60-mile (round trip) bike ride split by a night of camping and live music, better known as the Pedaler’s Jamboree. The featured beers of the fest were those canned creations from Tallgrass. One such beer was waiting for me in a cooler at the end of the first day’s ride: 8-Bit Pale Ale. 8-Bit’s measurables put it much closer to your average pale ale (5.2% ABV, 40 IBU), but it’s still at the high end of the spectrum. Everything Red Chair had, 8-Bit did subtler, but that wasn’t a bad thing. After biking all day in 90+ degree heat, I was happy to have an easy drinking beer with just the right balance of sweetness, bitterness, and floral hoppiness. And yes, I drank it out of the can. What else are you supposed to do when camping? 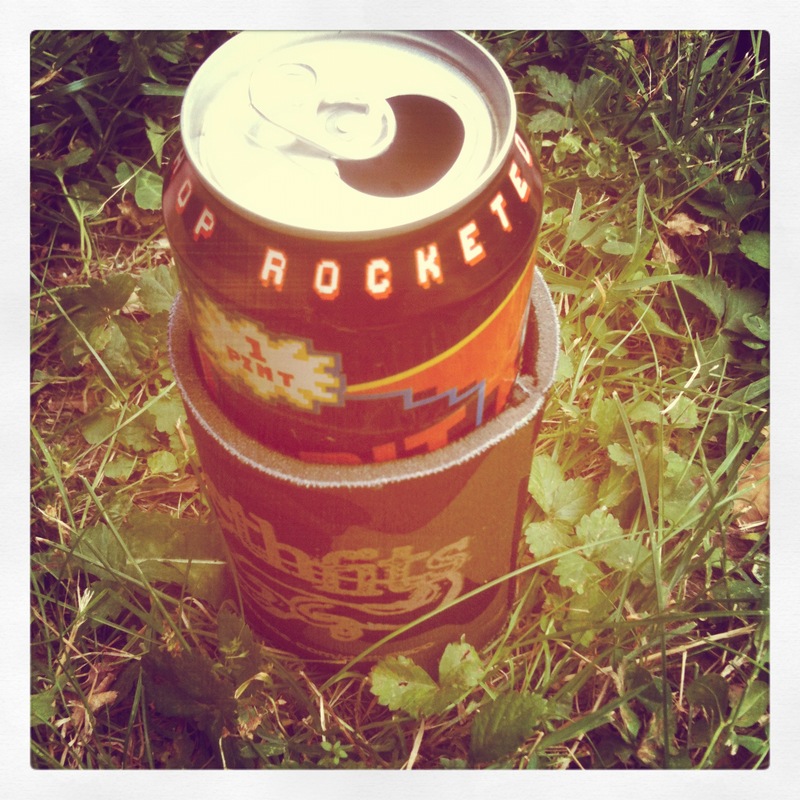 Besides, how could anyone not love the cartoonish design adorning this 16 oz can? My daughter hoped she could have some but she was out of luck. The tone of this month’s session felt like a review was in order, but I don’t really feel like ranking these beers or even comparing them. They’re both dynamite examples of (American) pale ales. Red Chair screams Northwest with its piney aromas and 8-Bit comes off more citrusy like its Midwestern wheat-based brethren, but that’s about as different as they get. Otherwise, both beers were smooth going down and made me reconsider my extremebeer pretensions. Whatever that means. *It should be noted that I finished off a four-pack of Green Flash Rayon Vert not too long ago. That beer is considered a Belgian-style pale ale. I love this beer, but it felt as though it was cheating when this session was considered.